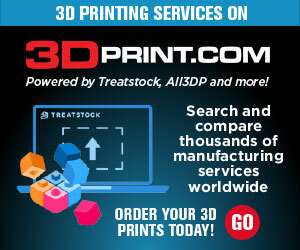 As both 3D printing and 3D scanning become more affordable, the technologies are also becoming much more widespread. In fact, one company called XYZprinting is so bullish on the technologies that they offer an all-in-one 3D printer and scanner. The da Vinci AiO machine, priced at just $799, is an affordable, reliable combination of these two awesome technologies–and XYZprinting relies on their XYZscan software to control the scanning process for this machine. Coming bundled with all da Vinci AiO devices, the XYZscan software makes 3D scanning and printing a breeze, allowing those with virtually no 3D scanning experience to jump right in and begin replicating whatever objects they can fit within the scan envelope of their machine. If you’ve ever 3D scanned something yourself on a stationary scanner like the one you will find inside the da Vince AiO, then you likely know how frustrating it can be when the scanner is unable to pick up certain areas of the object that you are trying to digitally copy. Usually you either have to try to rescan the object from a better angle or manually repair any issues within the mesh, or simply give up. This week, however, XYZprinting has updated their XYZscan software to hopefully avoid these issues. With a new process they call Multi-Scan, XYZscan users will now be able to take two separate scans of an object from different positions and angles and then stitch or merge those scans together so that areas which may have been missed within one scan can be made up for by the second scan and vice versa. The software will compute a new mesh of the object that’s usually much more accurate and detailed. While this updated functionality certainly isn’t completely automated, as the user will need to match up reference points, it does appear to be a valuable new tool for those looking for more accurate and defined 3D models. Let us know if you’ve tested out the new multi-scan functionality yet. Discuss in the XYZscan Multi-Scan forum thread on 3DPB.com.